View from the Veranda was a spin-off show, which had it’s origins in an advert that Battlegames Magazine ran on the podcast. In the advert two characters; The Colonel and the Major, used to meet on the veranda and chat. Henry Hyde, Editor of Battlegames Magazine (and now Miniature Wargames with Battlegames) originally appeared as a guest on Meeples & Minaitures, and then as a co-host. 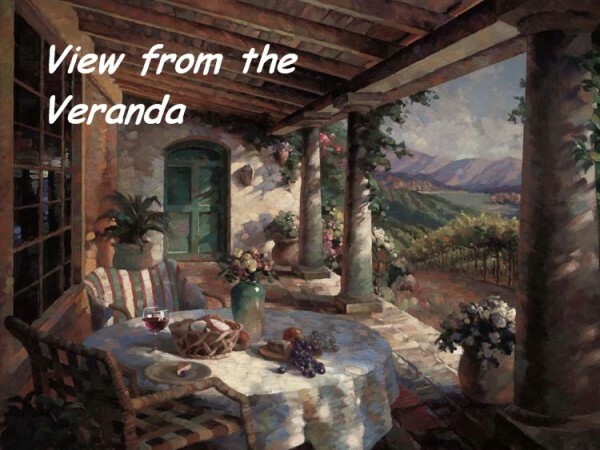 We quickly decided that we’d actually be better off in our own show, and View from the Veranda was born. The show ran on a semi-regular basis between 2009 and 2013, but at the start of 2014 the pressure of the day jobs (especially Henry moving to edit MWwB) proved too much for a regular show to continue. However, our motto has remained “Never say never” so it is possible that a new show will be recorded on the odd, special occasion. View from the Veranda is licensed under a Creative Commons Attribution-NonCommercial-NoDerivs 3.0 Unported License.